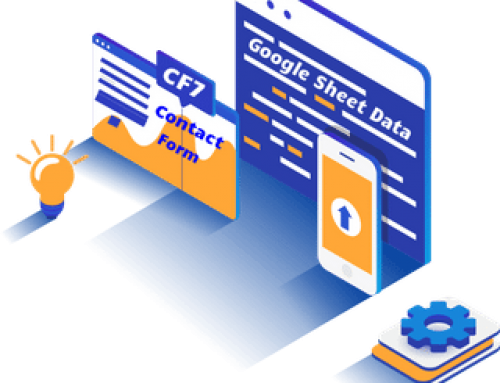 We’re thrilled to announce the release of CF7 GSheet Connector PRO version v4.1.1 with several notable updates. Here is the summary of changes. Enhancement – Provided Custom Ordering of fields and saved Google Sheet headers accordingly. Enhancement – Provided deactivation of authenticated account. Enhancement – Provided option to add sheet name and tab name manually. Added new special mail tags as per contact form 7. Changed Google Auth Libraries for making compatible with other plugins. Fixed – Not displaying of mail tags when put between html tags. Fixed – File upload rewrite with same file name. Now Drag and drop the mailtags for arranging columns for google sheet, no need to change the columns from sheet directly, instead you can arrange from plugin ordering section. Make sure, if old data is already filled up, then need to arrange from google sheet. Also if you selected fields are not showing, then check and uncheck it again, it may happens, if upgrade script is not executed correctly. Mostly, Google Account have too many sheets, so some user was having and issue with fetching the files in dropdown, so we have added a feature for adding filenames and tab names manually too. We have added deactivate auth option, if you want to switch the google account from one account to another. Make sure, it will work with once google account at a time, so make sure you are authentication with the right email account. Also, if you have issue with authenticate, then use the private window and re-authenticate with the new key. File upload rewrite with same file name. In file upload option, there was an issue with the same filename upload. we have fixed it. Fixed – Upgrade issue for multisite wordpress setup. Priorities Contact Form validation before sending data to Google Sheet.